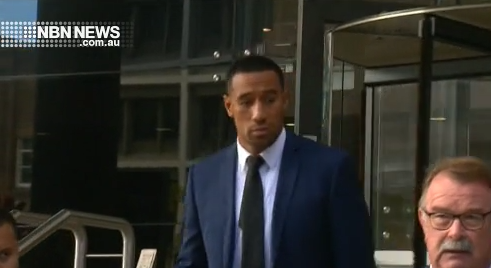 Tautau Moga has escaped conviction for assaulting a taxi driver outside the King Street Hotel on Boxing Day last year. The Knights centre pleaded guilty to common assault in Newcastle Local Court, and wouldn’t comment to reporters outside. His solicitor told the court he deeply regretted slapping the driver across the face twice, and that he apologised to the man following the incident and checked on his welfare several times. He was handed a 12-month conditional release order. Disciplinary action is yet to be determined by the Newcastle Knights.